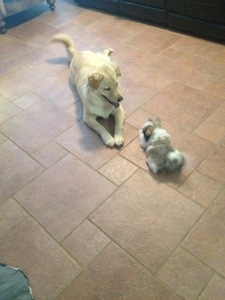 Just had to share Molly’s latest trick… Puppy Tornado! Molly met her “big brother” today. She was so excited – if you can’t already tell. I think Chism is just as excited, but maybe a little worn out by all her energy.